This idol should be delivered somewhere. Make sure it falls into the box. 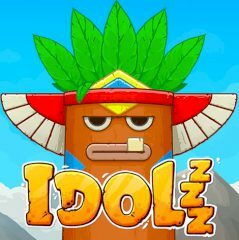 Each idol should be delivered, but you must drop it to the box. Can you do that? Use wooden beams to make it happen!